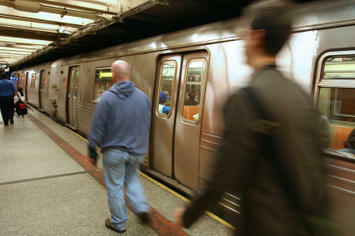 Should Transit Fares Cover Operating Costs? Maryland has long had a state law requiring transit systems to collect enough fares to cover at least 35 percent of their operating costs. While it is admirable to set a target, this particular target is disheartening for two reasons. First, 35 percent is a pretty low goal. The 2015 National Transit Database lists 48 transit operations that cover between 100 and 200 percent of their costs, including New York ferries, the Hampton Jitney, several other bus lines, and a bunch of van pooling systems. No rail lines cover 100 percent of their operating costs, but BART covers 80 percent, Caltrains covers 72 percent, New York and DC subways cover 64 percent, and New York commuter trains cover 60 percent. On average, commuter bus and commuter rail systems earn half their operating costs. So 35 percent lacks ambition. Even worse, most Maryland transit operations don’t come close to meeting the target. Maryland commuter trains cover 45 percent of their costs. But Baltimore’s light rail only covers 17 percent, and its heavy rail covers a pathetic 13 percent. Standard bus service also covers just 13 percent of its costs, though commuter buses come closer to the target, reaching 28 percent. Maryland lawmakers have figured out a solution to the second problem, if not the first. They simply passed a bill abolishing the target. Now, transit advocates hope, the state can spend even more money building obsolete transit systems that won’t be able to afford to maintain because they can’t even cover a third of their operating costs. Transit is “not profitable,” said one advocate, “but it’s essential for an economically competitive region.” Just how economically competitive has Baltimore been since it sunk billions of dollars into light- and heavy-rail lines that don’t cover even a fifth of their operating costs? Maryland certainly won’t make itself more economically competitive by increasing the tax burden still further so they can build more obsolete transit lines. Failing to cover costs isn’t a symptom that you are economically competitive. It is a symptom that you’ve failed to provide things that people need and want. The Antiplanner can understand why people think we need to subsidize food stamps or other aid to low-income people. I can’t understand why people think nothing of throwing huge amounts of money towards marketable operations like transit. There’s still a chance that Maryland’s governor may veto the bill. Let’s hope he does. This piece first appeared on The Antiplanner. Randal O’Toole is a senior fellow with the Cato Institute specializing in land use and transportation policy. He has written several books demonstrating the futility of government planning. Prior to working for Cato, he taught environmental economics at Yale, UC Berkeley, and Utah State University. Can High-Speed Rail Make Housing Affordable?